I’m enamored with French-girl style. It’s been written about on the internet countless times. There are many articles that I’ve contributed, from where Parisians get their inspiration to the coolest French brands and more. I’m heavily influenced by the fashion choices of French women, which I trace back to my time living in Paris when I would walk down the streets of the Marais and Saint Germain, utterly fascinated by their outfits. And really, it’s the simplicity of them more than anything else. They have a knack for choosing timeless pieces but style them in a way that always feels cool. Now that I follow a number of French girls on Instagram, I’m constantly reminded of their flawless looks, and it’s inspired me to incorporate some of their wardrobe essentials into my own closet to inch my way closer to Parisian style. So I decided to take some of their fashion teachings and apply them to my own outfits for a French-style makeover. Ahead, see how I did. Step 1: Wear a bucket bag on repeat. Jeanne Damas is my ultimate muse when it comes to French-girl style. She consistently wears this bag from Staud, and it feels so French. Step 2: Mix in some pink. This is a more surprising trend recently among French girls, and pink seems to be the color they're all wearing. Step 3: Don't forget the gold jewelry. Classic French-girl style involves lots of gold jewelry—especially layered necklaces. Step 4: Invest in a printed dress. A printed dress is just so Parisian. Go for patterns like polka dots or dainty florals. Step 5: Learn to love cardigans. I've never thought of cardigans as especially cool per se, but after seeing Brigitte Bardot and countless Parisians wearing them, I've realized they're a French-girl essential. 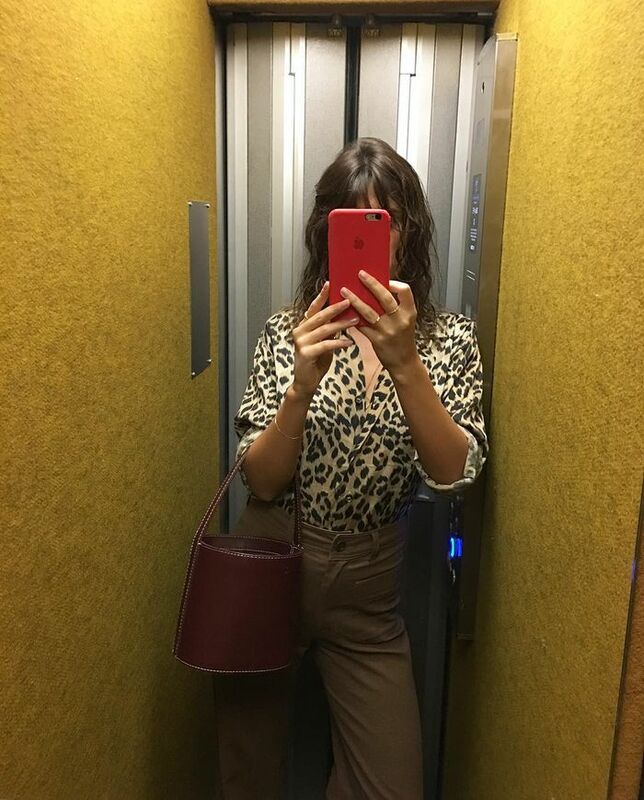 Leopard is the French-girl piece of the season. Anything from swimsuits to tops to this Réalisation skirt. Available in British sizes 16 to 30. Next, read about the biggest shoe trends of the the summer.